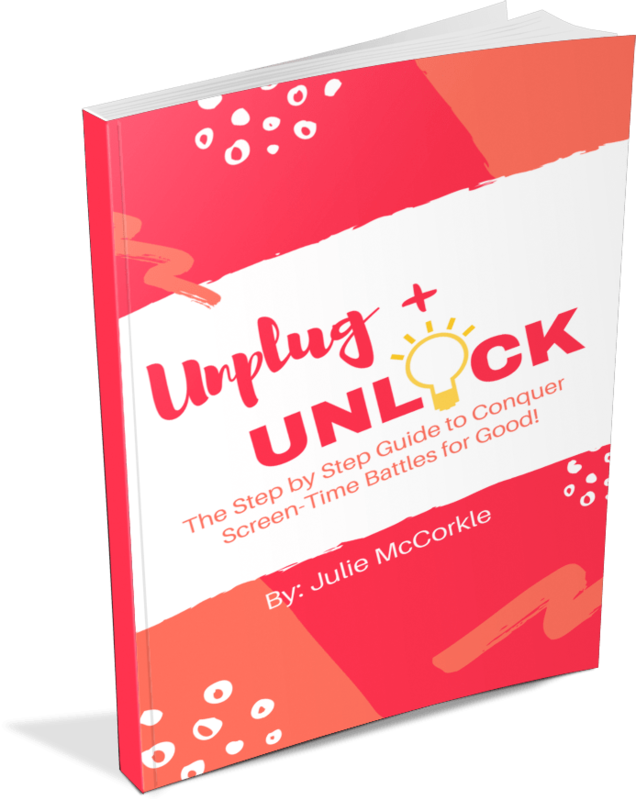 The Step-by-Step Guide to Conquering Screen-Time Battles for Good! Have you ever wondered what it would be like if your home wasn’t ruled by screens? Do you have a toddler or preschooler who is just hooked on too much screen-time? Ever dreamed of conquering screen-time battles once and for all? It’s time for you to make a gameplan to limit screen time and reveal your child’s imagination! 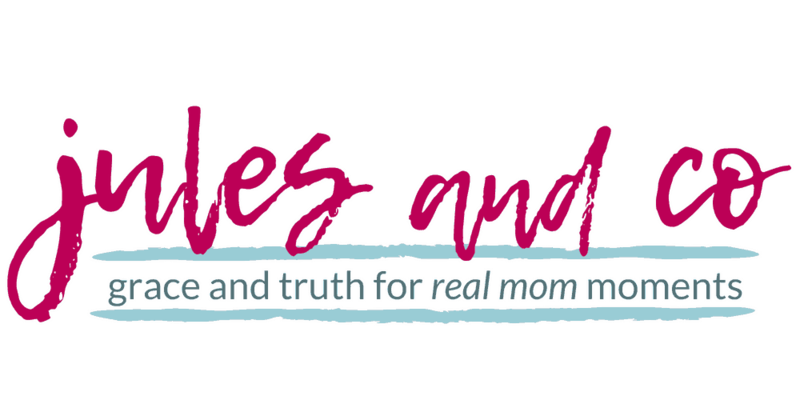 Steal my toddler-tested, mom-approved strategy, and get ready to Unplug + Unlock! 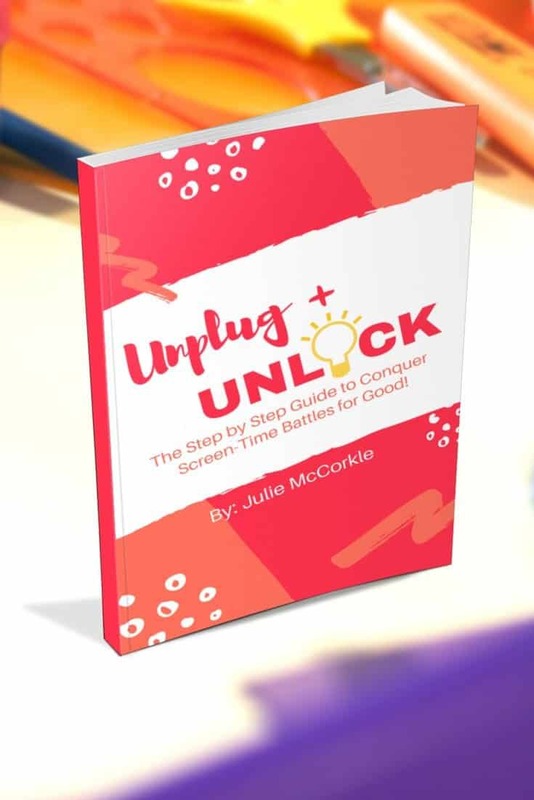 Unplug + Unlock contains everything you ever wanted to know about starting a journey to unplug your child from too much screen-time. If you have a toddler or preschooler, you’ll be empowered to not only tame screen-time, but also unlock your child’s unique imagination and potential! Cutting out screen time was not on my radar as a mom. Television is limited in our home, and it doesn’t cause too many struggles. But Julie’s opening idea- Do you want your child to be a consumer or creator? struck me hard! It had never occurred to me that screen time, as harmless as it seemed, was depriving my children of amazing opportunities to explore and create. This book gave me so many great ideas of what I can do with my children, (and help them do alone), in order to avoid the TV as a babysitter phenomenon and to improve their creativity. 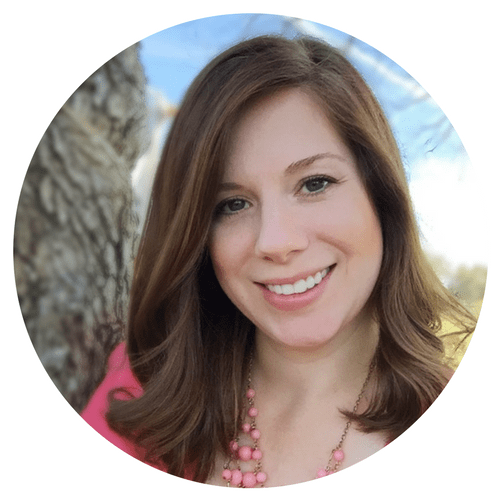 Her scheduling suggestions made me realize that a screen free summer would be a beautiful thing to do for my children. We’ve already reduced screen time, and we plan on turning them completely off by summer! Make your home environment work for you as you begin to limit screen-time for your children. Discover a solid plan to introduce rich experiences that will take the place of bad screen-time habits. You have the unique ability to unlock your child’s gifts and potential! Learn how to limiting screen-time can bring out the best in your child. Chapter 1: Consumer or Creator? Chapter 11: Get Outside and Play! 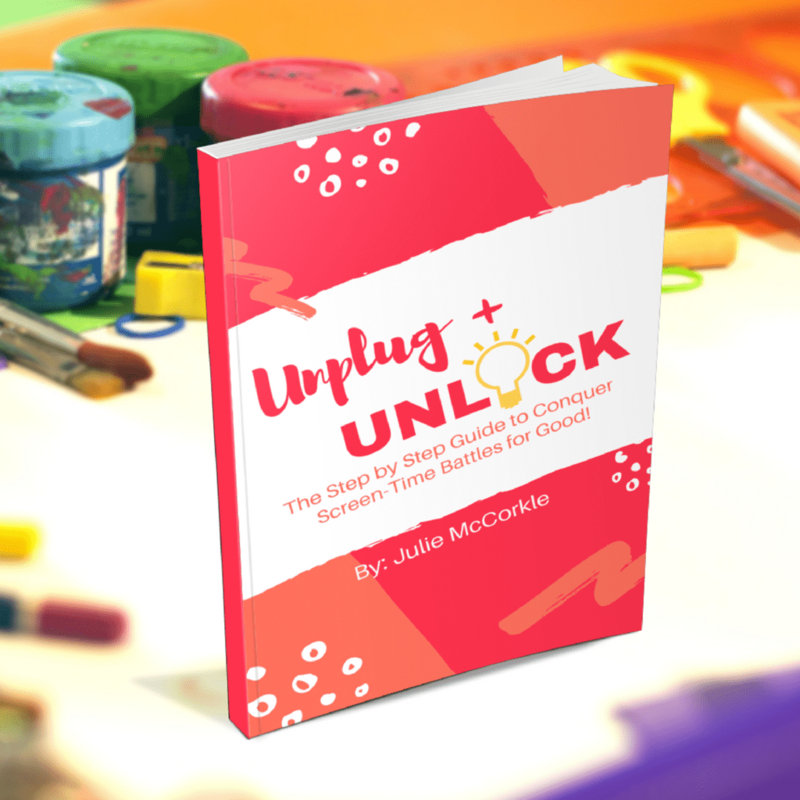 Ready to start an Unplug + Unlock journey with your child? Click here to download the eBook! In this age of instant gratification and round-the-clock entertainment, it’s becoming more and more difficult to raise kids who aren’t hooked on screen time. I know I want better for my child, and I am sure you do too. Let’s work together to cultivate a more screen-free way of life and unlock rich experiences for our kids!